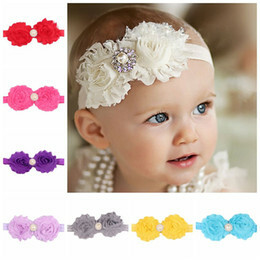 With your wedding coming up soon, gifts for everyone in the wedding party are likely looming over your head. How do you say thank you in a way that is meaningful? What do you give the most important people in your life for being a part of this day, for helping to shape you into the person you are today? 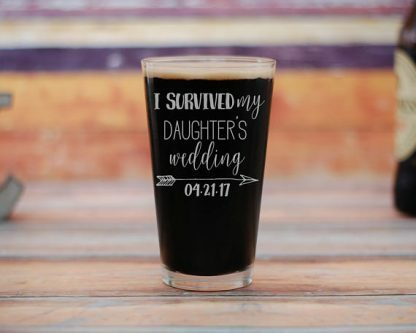 When it comes to buying a gift for the father of the bride, this list will come in super handy. 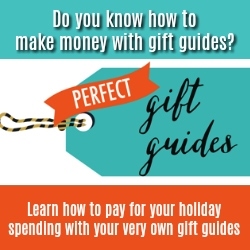 The stress will melt away when you realize that you don’t have to do too much thinking to pick him the best gift possible. 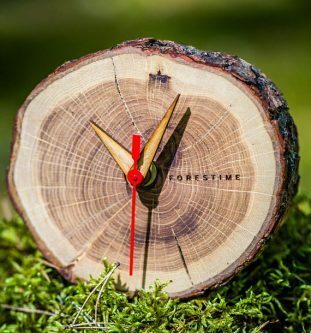 If he is into rustic things, he will absolutely love this wood log clock to put up in his home or office. 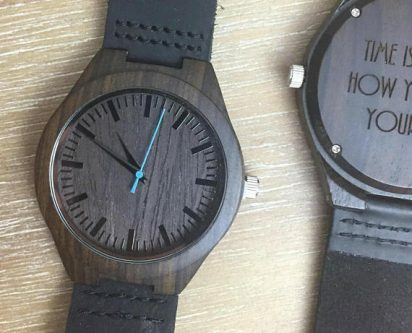 As with the wood log clock, rustic can be fun for some fathers of the bride, and a wood watch engraved with a special phrase or quote, will be very meaningful to him. 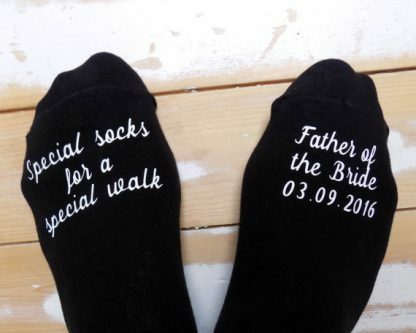 The father of the bride definitely needs special socks for that special walk down the aisle with his daughter, the bride, on his arm. 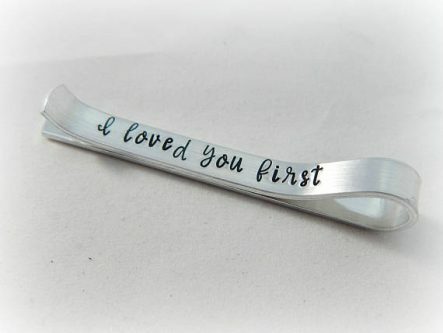 As his daughter, you loved him first. 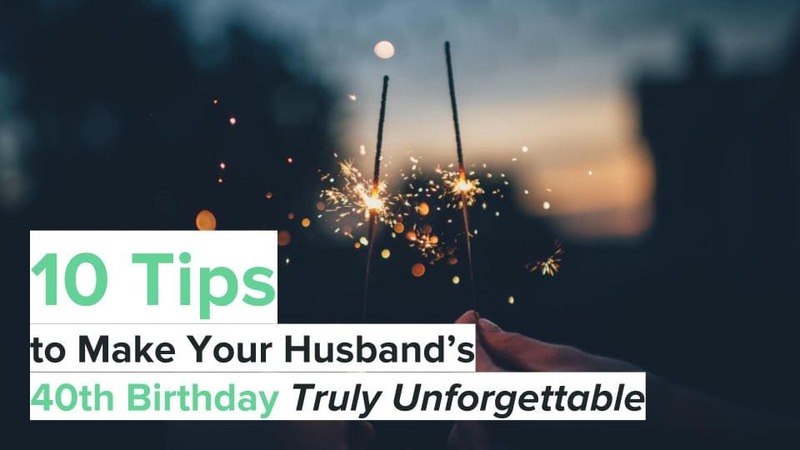 Your soon-to-be husband came later in your life. 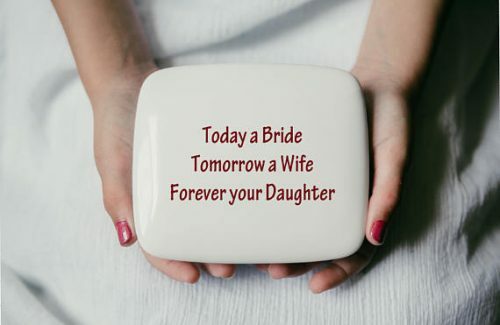 While you are the bride today and will become a wife, you are forever your father’s daughter. Put a nice note in here and maybe even some small keepsakes. 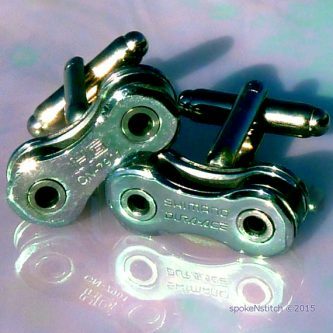 These bicycle chain cufflinks will go nicely with his suit for the wedding if he is a biker in any shape or form. It will let him add a little more of “him” to his wardrobe. 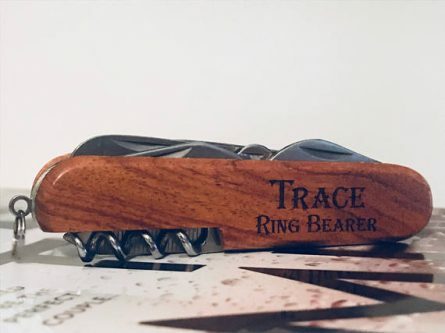 A classic gift is a pocket knife. You can engrave this one with his name or something else equally special. 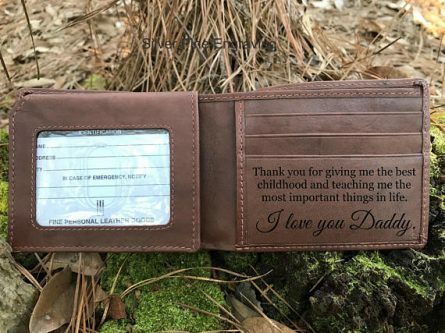 He gave you the best childhood and taught you so much about life, this engraved wallet will make him smile, and maybe even cry as well. For after the wedding, he needs something to celebrate that he survived it without reducing to a puddle of tears or a huge ball of stress. 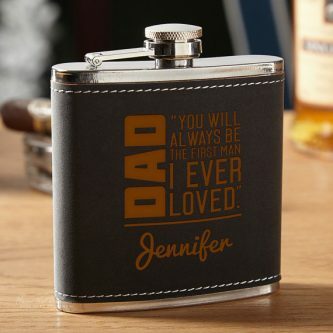 Every dad needs a personalized hip flask to carry a little something, something with him. 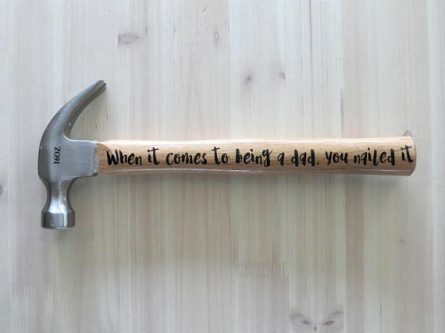 He definitely nailed his role as your dad, and he will never forget that now. This hilarious set of movies will keep him laughing his head off in relatability and humor. 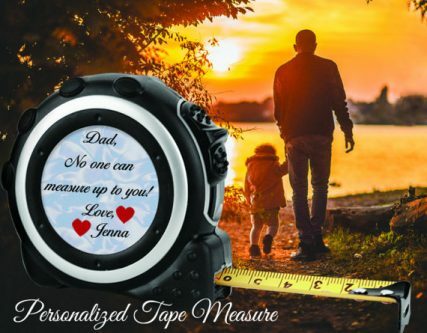 A tape measurer, personalized with a quote, will come in handy if he does a lot of work around the house or construction. 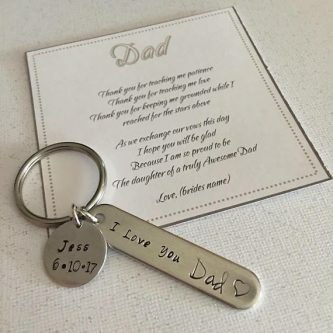 A simple way to say thank you and I love you, is a keychain that says just that. 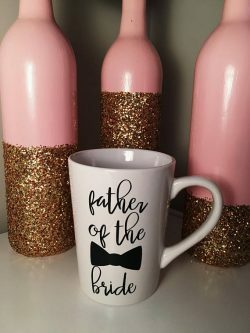 This mug is pretty “in your face” about him being the father of the bride, but he will cherish it for a long time. This is a big day for him too. 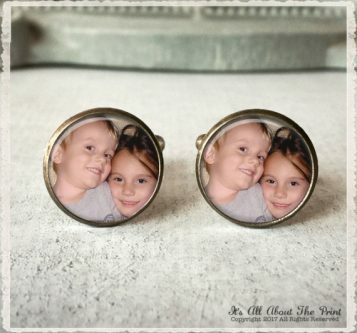 Put some pictures of yourself and him in these custom photo cufflinks and he will be more than proud to wear them on the wedding day and for special occasions afterwards. 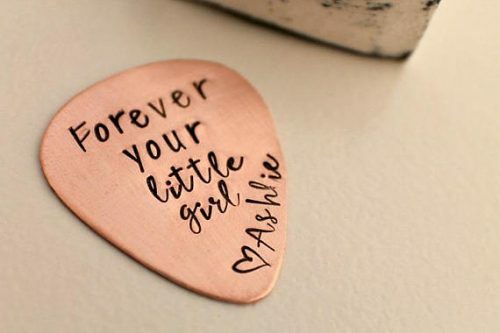 You are forever his little girl, there is no way that couldn’t be true! 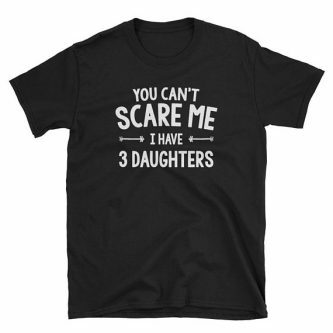 No one can truly scare your dad, except you and your sisters! 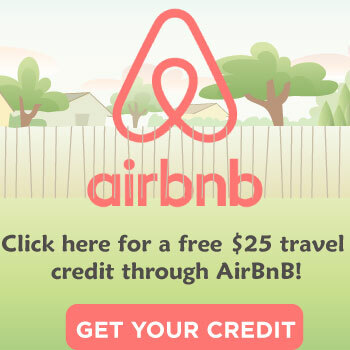 Everyone knows it by now, but just in case someone else needs a warning! 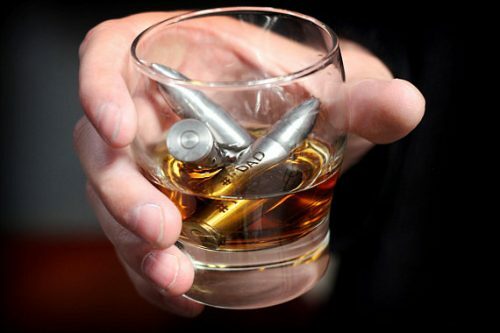 These personalized bullet ice cubes are great for his whiskey glass or just when he feels like using them. 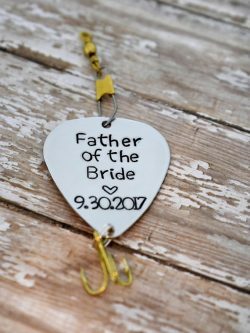 If he is a fisher, he definitely needs a “father of the bride” fishing lure to go in his tackle box. 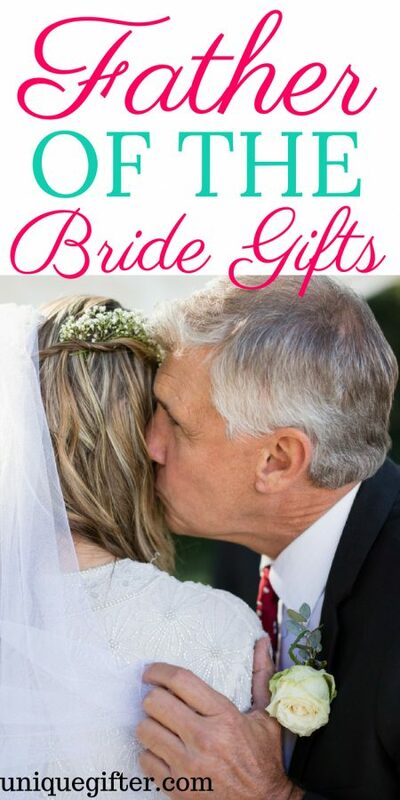 Buying a gift for the father of the bride is not difficult, and there are so many awesome gifts to choose from, as you can see here!